This was written after reading the essay by Rob Burbea “Buddha and the Sacred Earth” on the DANCE website. 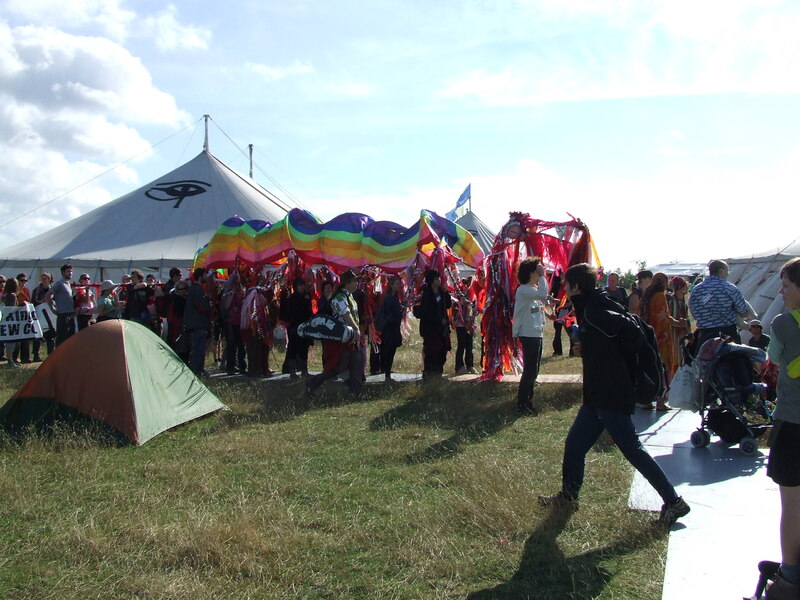 It was written for friends in Dhamma who are concerned about inaction on climate change. We have worked from our practical experience, study and research in putting forward a plan of action. It may also interest anyone who is trying to understand the wisdom of the Buddha. We have written it in a way that is understandable to someone with little knowledge of Buddhist terminology. It is in three parts: In the first we look at what the Buddha knew and how it motivated him to act. In the second we look at what he would do in the present situation. In the third we consider what may happen if things continue as at present. In summary we conclude that Siddhartha would indeed be motivated to act on climate change. We suggest he would organise and establish a means for ordinary people to walk away from the economic system that is driving growth for its own sake and business as usual. Unfortunately we foresee much potential for conflict as a means of solving the climate problem. Let us suppose the last Buddha; Siddhartha was to appear here and now. As an ordinary person with a modern education who knows our history and is fully aware of the destabilisation of the climate. Being a Buddha he would also know the truth of existence. The Buddha was the Buddha because he knew Bodhi: the knowledge of the truth of existence. The term Buddha originates from the word ‘awake’ and he was awake because of what he knew. So, what would Siddhartha do in the circumstances of here and now? What was it that he knew which caused him to act in such a radical way? From its origin the universe as a whole progresses from simplicity to become more and more complex, so there is more than one sort of atom, beetle or flower. This makes sense as increasing complexity and diversity builds resilience into the system. Nature likes diversity; but the harm we are causing leads to a drop in diversity. If we continue as we are we will bring about a mass extinction damaging the diversity of the whole system. We are aware this is un-wise but we are having difficulty in acting now to stop ourselves. Why is this, is there some understanding that we have got wrong? Although humans have had a substantial effect on the environment for thousands of years it is only recently that we have become such a potent force of nature. Our religions, ideologies and philosophies are not yet evolved to cope with this fact. In the past population growth was seen as a good thing, as was economic growth. Both of these lead to an increase in diversity and overall complexity of our societies which is generally liked by nature. This has now changed. We can no longer increase our population or pollute the environment without concern. We now have to evolve our ideas. There is a whole range of ideas prevalent today. One of which is Nihilism, where all morality ethics or even existence is rejected. It is the attitude of let us party on today for tomorrow we die. One of the views that Buddha repeatedly challenged in his lifetime was Nihilism. So the Buddha taught that there is something on which to found a morality and ethics. This matters because we are already facing ethical questions such as; do I have to do something about climate change? Might I have to change my own behaviour? Might I have to try and change the behaviour of others? What is the sensible thing to do and how? What would I say if a younger person asked if violence is an acceptable method for change? These are all difficult questions and we need to give credible answers to others and live by the example of our answers. For instance a nihilist response is very common in our society. Rather than asking: do I have to change my behaviour or change the behaviour of others? It is more like: can I carry on in as much comfort and convenience and extend my life for as long as possible? On the other extreme how do we explain to young activists that violence is not the most effective method for change? If a material only model of existence predominates, ethics will be over ruled by expedience. Violence will be acceptable as it was to the revolutionists of Russia. If the material only model of existence is actually correct then anything can be justified so it is important to investigate to find out what is true, to travel the same path as Buddha. Those who see the message of the Buddha as only philosophy or psychology with nothing beyond material will find themselves in this bind where expedience rules. If the circumstances change and revolutionist pressure grows they will be unable to put forwards a credible and persuasive rationale to support non-harming. An accurate description of the true model of existence will describe Bodhi, allowing us to learn, recognise or confirm our understanding. Informed with Bodhi we will be in a position to work out what Siddhartha might do and why he might act for any particular problem such as climate change? We might also be able to counter the argument for change by conflict. If there is Dhamma and Bodhi what are they and what would they lead us to do? It is not a trivial matter to look at these questions. It is worth the effort as it leads us to look through the haze of ideas that have grown up surrounding the Buddha. There is much misinterpretation about what it was that Buddha knew, which caused him to act, and resulted in the still going monastic Sangha. The word Sangha means assembly of monks and nuns. 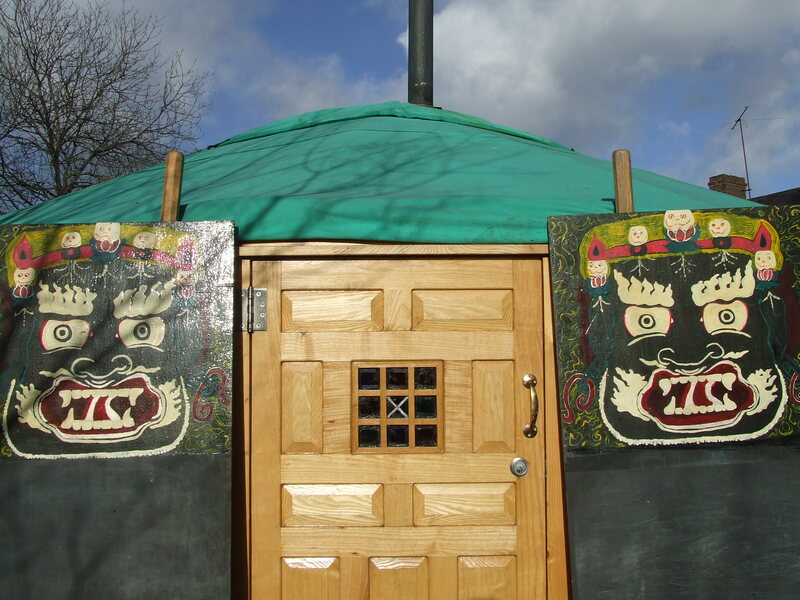 The Sangha can be seen as a training school for the propagation of Bodhi. Surely if our intention is to find out what Buddha knew in his lifetime we would read the earliest written text and not the much later contemporary prose or poetry. The earliest record of some of what the Buddha said is contained in the basket of Suttas (Sutta Pitaka) of the Pali Canon. In Pali ‘Sutta’ literally means thread, from a spiders silk; but here it refers to the thread of a conversation or discourse. There is something like 13,000 pages of this organised in five collections (Nikaya). The collections are; the Digha or long discourses, the Majjhima or middle length discourses, the Samyutta or connected discourses, the Anguttara or numerical discourses and the Khudakka or minor discourses. A word of caution about the Suttas and the Pali Canon is necessary here. There has been much scholarship investigating what is authentic and what was really said by the Buddha. Against what were the later additions or only partly original. This is a large subject; a good starting point for anyone wishing to study this would be “Studies in the Origins of Buddhism” by Govind Chandra Pande from 1945. Although doubts have been expressed over some of Pande’s conclusions there is much which rings true. Several factors should be considered, such as the time between the death of the Buddha and the writing down of the texts. There are understandable objectives and motives that may have caused the Sangha to develop and expand the early Suttas to fit particular purposes. After research and reflection we came to the conclusion that it is not possible to have total confidence in any particular Sutta or statement as being authentic to Buddha. We have to use common sense and the balance of probability when considering anything from the Nikaya as being the word of Buddha. So what we are saying is that we believe in the enlightenment of the Buddha and his Dhamma but we cannot assume all those monks after Buddha’s death who wrote down the word of the Buddha were fully enlightened and accurate in their rendition. The Buddha would wish us to think it out for ourselves and use our knowledge established today because true knowledge will fit Dhamma. True understanding will lead to Bodhi. There are many propositions in the Suttas that are obviously false and contradict the basic tenets of the Buddha. We find Buddha apparently interacting with Brahma which is a personification of Brahman the underlying Hindu life-force, with Indra the Vedic God of lightning and with a variety of Devas and Trolls. 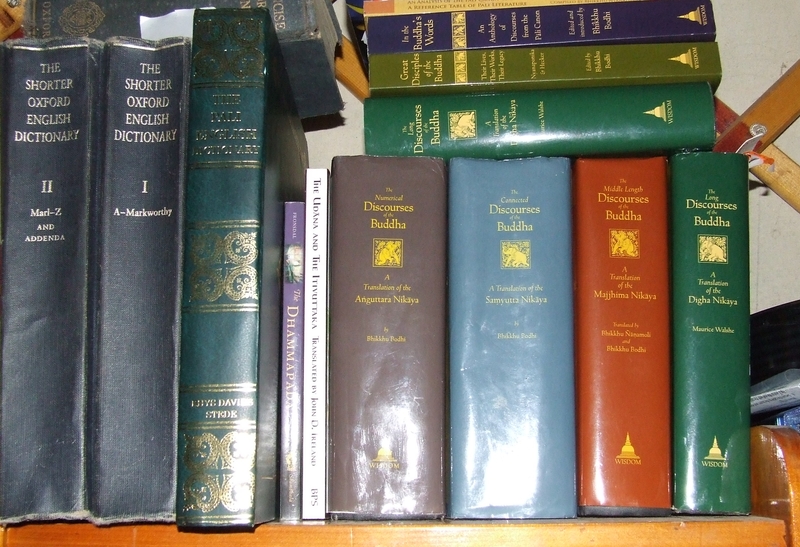 All of these can be discounted as unhelpful and in all likelihood added into the Suttas to impress monk and laity alike. In the same way the supernatural feats and almost deification of Siddhartha can be ignored. Siddhartha was as human and mortal as you or I and nothing supernatural is necessary. There is even uncertainty as to when the Buddha died. There could be 350-500 years between the events claimed to be recorded and those being written down. Originally the Suttas were kept by remembering and reciting until around 100bce when they were written in palm leaf books. We need to be aware that modern scholarship has cast well founded doubt over some of the accepted formulae of Buddhism and that they may not have come from the Buddha himself. Take for instance the formulaic explanations of dependant arising and the 5 kandhas or aggregates. These are very probably constructed after the death of Buddha. We should be open about these possibilities. It makes sense that in the decades following the death of Siddhartha formulas of teaching were developed and then attributed directly to him. Without Siddhartha to resolve disputes, this is exactly what would be expected. After 2500 years the outcome is that much in the Suttas should be seen as reformulated teachings based on the words and concepts of the Buddha but framed to deliver teaching outcomes to new monastic students. There is no doubt many authentic words of the Buddha are in the Suttas and many of the stories told are of real events. If you read the whole Canon you begin to realise there is an authentic voice of the Buddha but it is almost hidden by many additional words which have been put into the Buddha’s mouth. There are good modern translations of the Suttas and Nikaya. Much wise and sound advice is to be found mostly as conversations between the Buddha, his disciples, lay followers and other ascetics. There are also many contradictions; some of which are fundamental. These contradictions are important because they affect the model of existence at the heart of the Buddhas message. The whole point of the law of nature (Dhamma) and the knowledge of the truth of existence (Bodhi) is that there is only one and that they are unchanging. So let us for the moment make an assumption that the Buddha did get it right in his lifetime and that there is Dhamma and Bodhi which Siddhartha knew. The idea of Anatta can be seen as Buddha’s great insight; however the biggest contradiction in the Suttas is between what is known as Anatta and Samsara. Anatta is often translated as no self or no Atman; but Atman means much more than self. It is a concept developed by the Vedic Hindu leaders, the Brahmanas between 1000 – 500bce and recorded in the Hindu Upanisads. The Atman is seen as the self and the soul of man but also part of something much more universal, a bit like God. In this Hindu view each person has or is an Atman. Each person is also the universal Atman which is the God like aspect. This idea had taken hold as a working model of existence at least among the elite by the time Buddha was born. For a greater appreciation of this we recommend reading Vedic Religion and the Upanisads by Arthur Berridale Keith (available from the Internet Archive). This book from the 1920’s gives a good background explanation of the Vedic religion up to the time of Siddhartha and although a rather dry read it does explain something of the context into which Siddhartha was born. In the Suttas it becomes very clear that Buddha is saying that the idea of Atman is wrong. In the Digha Nikaya there is Sutta 15 the Mahanidana. It begins with an explanation of dependant origination, in this idea all things arise dependant on the conditions from which they arise. It looks at a series of conditions and the interdependence of each which lead to, for instance death or birth. A person is considered to be made up of 5 kandhas or aggregates, these are; form, sensation, perception, mental formations and consciousness. A person is considered to be made up of these kandhas operating together. The Sutta then looks at each aggregate to see if there is anything permanent and substantial and concludes that there is not. It then asks if there is self or soul in any of these transient components and concludes that there is not. So the outcome is that no permanent self or soul can be found in a person, self is an illusion. This analysis or model has become a psychology and people have focused on the psychology in its own right rather than its practical conclusion. Hundreds of years later the Heart and Diamond Suttas were written as a way to refocus us on the conclusion that the kandhas are “empty” of self or soul. In the Majjhima Nikaya we find similar propositions in Suttas 22.15-16, 35.4, 35.20, 62.3, 109.13, 109.16 and others. In these Suttas condensed versions of the Mahanidana Sutta (Digha Nikaya 15) are repeated. In the Samyutta Nikaya part iii, middle fifty, 59 The Characteristics of Non Self, again restates the formula of the Mahanidana and ends by stating that a person that sees the truth of non self is liberated and rebirth ends. This is interesting as it says knowledge can end re-birth and that the knowledge is of non self. There are other similar references to Anatta or non self non soul in other Suttas. These are all associated with dependant arising. The five kandhas and dependant arising are very probably formulas arrived at after Siddhartha’s death. Having said that the formula probably developed from Siddhartha’s teaching and his point was that there is no permanent self or soul. And that the Brahmana and Upanisadic teaching of Atman are wrong. The idea of rebirth according to the merit of the acts (Karma) accumulated in previous lives is known as Samsara. In order to be reborn in Karma there must be a means of transmission of some package of data on previous acts and personality. This record of previous acts must be sent forwards to the about to be born body from the recently dead one The idea of such a package is known as a soul, if there is no soul, no Atman, then there can be no rebirth according to the previous acts and personality, no Samsara. This apparent contradiction is spread across the Suttas. Buddha frames what are most probably authentic early teachings in the format “Abandon one thing, Bhikkhus and I guarantee you non-returning. What is that one thing? Greed …” It carries on saying the same for hate, delusion, anger, contempt and conceit (Itivuttaka ones 1-13, Khudakka Nikaya). A Bhikkhu is the Pali name for a monk. The Pali Canon has many references to attaining merit for a good rebirth and even details the various realms which can be attained. The idea of Samsara, a cycle of a person being reborn, does not fit with Anatta. When we question and use common sense to think this through we cannot reconcile Anatta and Samsara. This is important because it affects the model of existence which in turn influences our daily decisions and actions. We all need to ask these important questions: Is there a self, is there a soul, and are we reborn? If there is no self or soul in people could it be there is no God or Gods either? This matters especially when we are faced with severe challenges such as climate change. Ethics and morality are derived from or underpinned by the model of existence. The concept of God is one of a supreme being, something within a boundary, separate and apart from each self or person. A person is seen as self, separate and apart from others and God superior. God like the Christian one being supreme is in control, with a plan, at the top of the implied hierarchy. A person can have a direct relationship with God but must obey those who are the voice of God on earth. The belief in a God or Gods is also specified as a wrong view. This wrong view is also described as a speculation, not supported by evidence. Where is the evidence for a God or Gods? Both in Europe and in all Indian thought except the Buddhist, souls and the Gods who are made in imitation of souls are considered as permanent. To these spirits, is attributed a being without becoming, an individuality without change, a beginning without an end. Some may say that there must be something behind nature and the universe but does that mean it has to be a God or Gods? Could there be some other, perhaps simpler explanation, one which is contained within what we already know? In the Buddhist adaptation of this theory no soul, no memory goes over from one body to the next. It is the craving still existing at death of one body that causes the new set of khandas in the body to arise. How this takes place is no where explained. Over and over again in the Pali Canon it is implied that a person is reborn with the essence of their previous personality. This simply does not fit and falls back into the idea of the Samsara soul being reborn in Karma. After a period of study and offers to join, Buddha walked away from a total of six Sramana schools. What we do is what we believe in and Buddha paid a price when walking away from the schools he had studied at. He was not prepared to go along with something he did not believe to be true and left the established school and its business model. This is a very appropriate lesson for us today: if after careful study we do not agree with a doctrine or ethics then we should walk away from it. This is applicable not only in the context of a school but for all manner of organisations in wider society. We should not go along with something simply because it sustains our livelihood. If you really are committed then you will be prepared to give up comfort and even go hungry in the pursuit of truth or the upholding of truth as Buddha did. With Anatta (no Atman) we can see that Buddha is describing something by what it is not. This is to be expected because if there is a truth of existence a person is that truth, the problem really is what a person thinks and believes they are and what model they have as to how it works. What stories they use to explain reality. So it is a case of being deluded by false understanding and breaking through the delusions to truth. It is also a case of knowing that truth when you see it. There are clues dotted about the Pali Canon which speak of truth that is subtle, to be understood by the wise, profound and hard to see. There are two questions that are appropriate here; is there anything beyond me or my perception and is there anything beyond material? The first is easy to answer; of course there are other sentient beings beyond me, other people but also other animals such as a dog, a cat or a horse. These other sentient, thinking and feeling beings are like me. The second question is more difficult and has been the cause of much trouble. Is there anything beyond material? What is material? Stuff is matter, things you can see, feel and touch. So is there anything beyond that? Is there anything that is not material but still exists, that is completely abstract but still has structure? How about our thoughts? Could our thoughts be something which does not materially exist, but is there and can translate through to affect the material world? Consider the realm of physics; it has made nuclear weapons, demonstrated that solid material is an illusion and is all made out of waves. 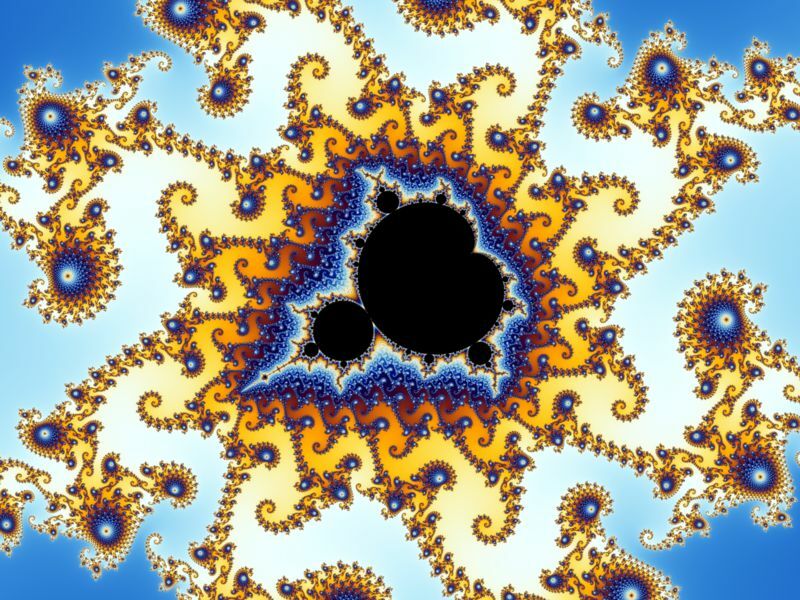 More recently the Mandelbrot set is a candidate for evidence. This is a mathematical oddity which presents infinite complexity and structure out of nowhere. It is discovered using a computer as a mathematical detector. Each person has to make up their own mind on this issue but if you accept that there is or may be something beyond material then the real question is; how does that work and how does that affect and relate to me? Going down this line of questioning brings models of existence and issues like Anatta to the fore. So how does it work and who or what am “I”, is there a God or Gods? What Buddha says is there is no self, no soul, no God or Gods. So how does that work? The key to understanding what it was that the Buddha knew has to do with what we call self, me or I. Sometimes it is the simplest of things which are the hardest to understand. This is especially true when it contradicts what we already “know”. Again this is especially so when the thing we already know is something deeply embedded in our cultural and social model. Something we are attached to and do not question. We live in societies that see people as individuals who are separate and apart from each other. These individuals are seen as competing in a hierarchy for access to and control of assets and resources. The way resources are distributed is known as the economy. While participating in this economy we are expected to follow these ‘conventional truths’. It is these ‘conventional truths’ which we seem certain of in the economic world which cause so much harm. The Buddhas message, Bodhi, is that we are not individuals; we are not really separate people, that the idea of self, I and personality are wrong. When in later Suttas it is said that the kandhas are empty it does not mean that nothing exists for that would be nihilist and Buddha said that the nihilist view is also wrong. This truth is indeed profound. We are what there is and it is all the same, not just interconnected; our context of consciousness is the same in all of us and is universal. It is what is real. It might not seem like it, it might not look like it but that is the way it really is. If we meditate on this we see that it fits with life as we observe it. If we meditate in this understanding we see our lives run backwards and that we have been alive through our mothers back to the dawn of humans and to apes and on backwards to tiny bacteria. It does not stop there, the universe is a unity, and it has evolved as we have evolved. It is all living and it is all the same thing. The universe is a continual process, nothing material is permanent. There is a non material aspect which is beyond description, there have been attempts at describing this such as Brahman but it is really beyond the capacity of language. Ignorance of this truth and delusions such as self are not necessarily bad. It could be said that delusion is a driver of diversity as far as human behaviour is concerned. There is no individual rebirth or Samsara so all birth is collective. Bodies are born, live for a while and die. We are impermanent manifestations of the whole. We are a collective and experience collective Karma. During its life a body has some local memory of its experiences but it is part of the collective. The consequences of the actions of one life may well carry on to effect the following generations in both good and bad ways. In this sense Karma is collective. This also means that Buddha could say to a group of novice monks “Abandon one thing, Bhikkhus and I guarantee you non-returning…” As there are no individuals and both Karma and birth are collective Buddha is not making a false statement. He does tell them that self is an illusion and understanding what that means will bring an end to their rebirth. This is also true as it is the delusion of self that is transcended, there is no self to be reborn, or die. Bodies are born and die but there is no self in them. As there is no self there is no God or Gods either, what there is has no boundaries, no separation so no God. This is the true meaning of interconnectedness. There is no being, just becoming, however we have a desire to understand our differences at birth and wish to explain them. Try the simplest based on what we can observe and directly experience. A child is born; the conditions in which it arises cause its outcomes in life. The loving kindness bestowed on a child in the nurturing process by the parents and close adults have a profound effect on the development of a child’s mind. Until the child is an adult it is dependent on those adults for its needs. They are moulded by the Karma of those adults prior to their birth. The physical circumstances of the family will also contribute to the child’s health and wellbeing. Actions taken now will affect the conditions that children of the future will be born into. In conclusion if Siddhartha were with us now he would be motivated to act on climate change. He would be looking at the collective interest of all life on earth and not from self interest. He would be free to act by not being burdened with personal concerns such as his career, home, mortgage, spouse, friends, job, children or relations. As Siddhartha demonstrated in his own life-time. He was prepared to walk away from these concerns in order to address the root causes of more important problems such as tribal warfare, caste system and ritual sacrifice. Siddartha would be deeply troubled by climate change not only because of its obvious risks but the more damaging and insidious effects on life itself. He would also see that addressing climate change would be the wise core issue to choose as it has less scope for being diverted by sectarian/political interest. Also by proactively solving it many other collateral issues would be addressed in the process. Climate change is the key issue of today.